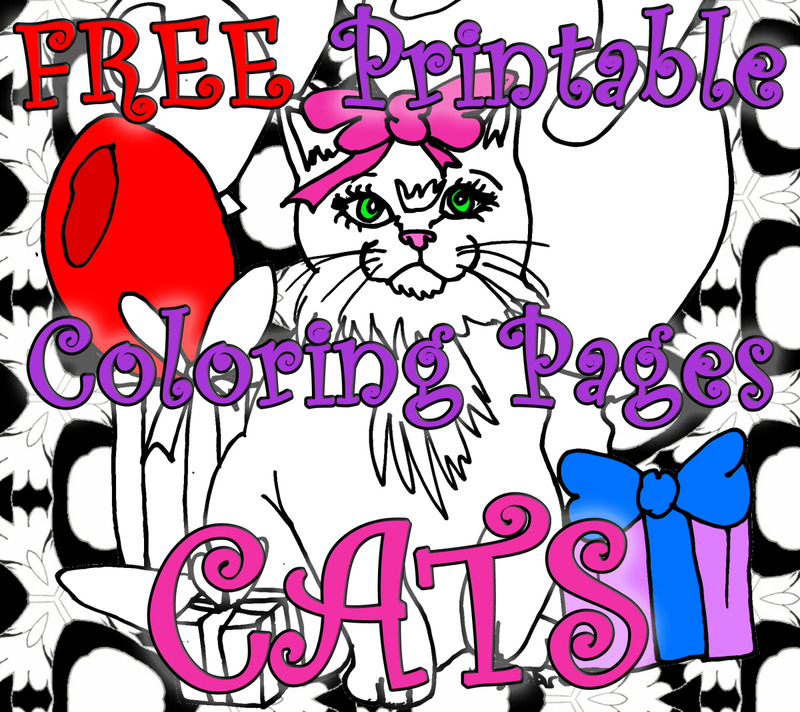 The best free printable football coloring pages online! Below we have curated some of the best football coloring pages. 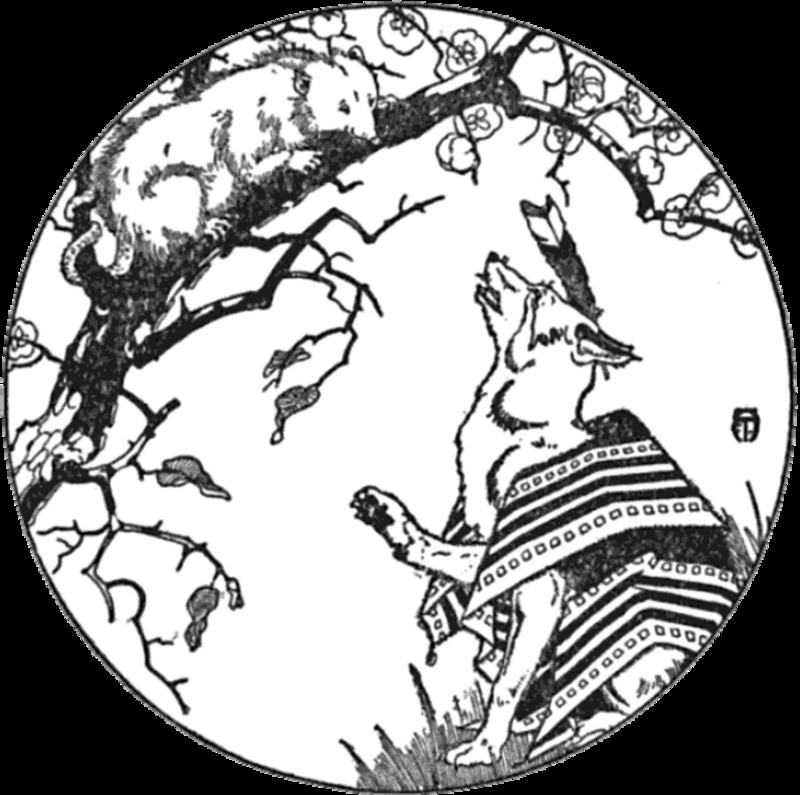 The collection includes examples simple enough for kids to more elaborate drawings for older children, teens, and adults that can be found online as well as coloring books to buy. 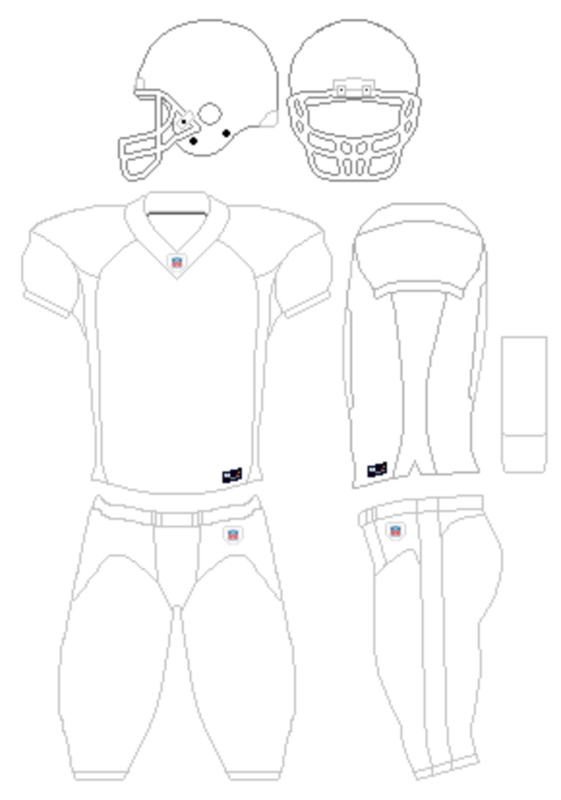 Have you ever wanted to color your favorite football team, and then you can either find a generic football coloring page of a player or a coloring sheet with favorite football teams. Here you can find collections of whatever football scenes you want, from groups of American football coloring pages with different views; from stills to play scenes. Some of the links will lead you to pictures you have probably already seen in your search for pictures to print and color, but we have also found links to some rarer drawings that you will love. While most are free, you might find some that you can buy. Any pictures for purchase are all worth the price especially if they are just the picture you want to a project. Here are some of the best that you can get for you and your kids to color and paint. American Football is a fun sport, both as a player and a spectator. We all see the various teams local and statewide playing this game from the young to old, whether for recreation in parks or competitively in schools, colleges, and stadiums, etc. You will find pictures of footballs, catches, throws, scrambles, kicks, etc. that you can printout to enjoy. 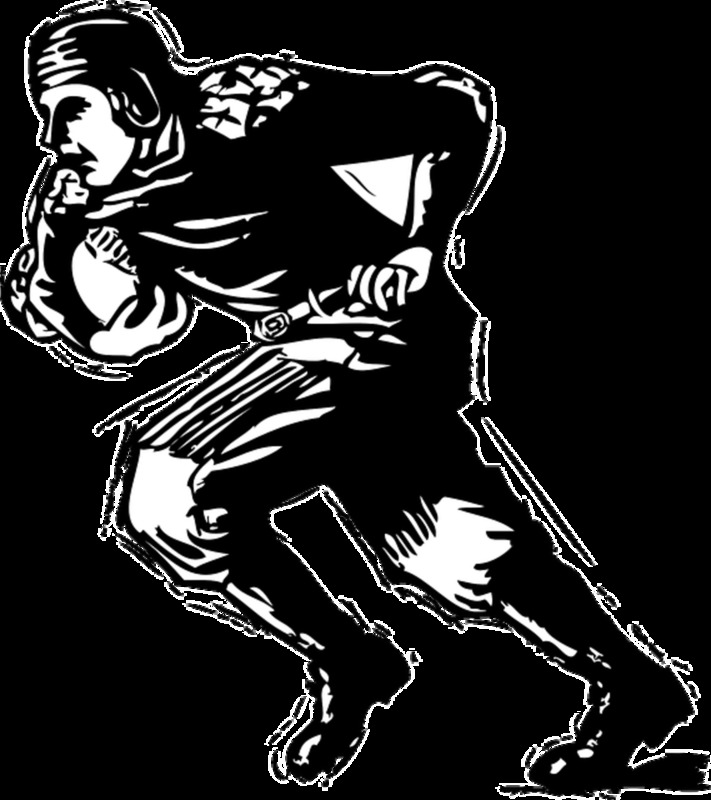 Here you will find one of the most extensive collections of football drawings though some are also on other coloring page sites. 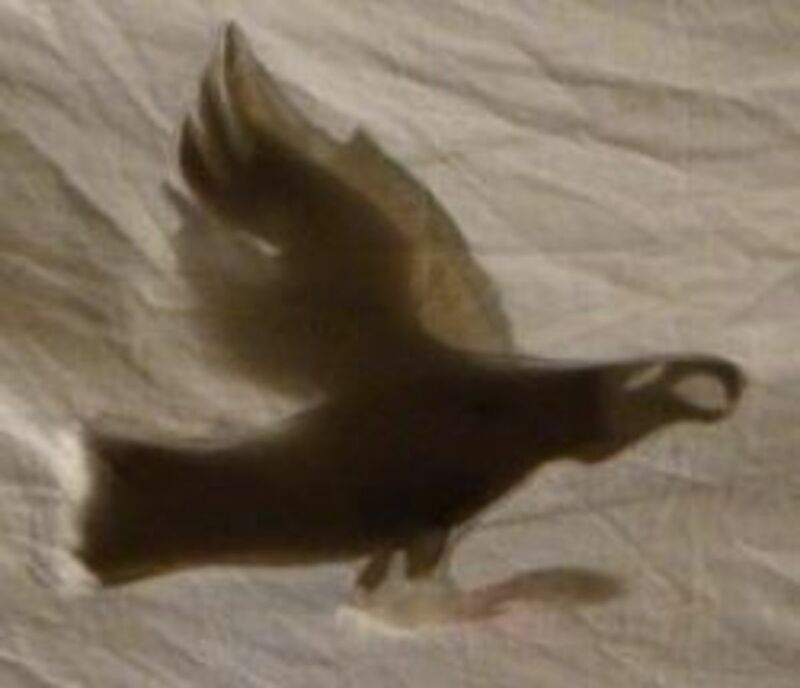 It is worth checking here to see if you can find what you want. 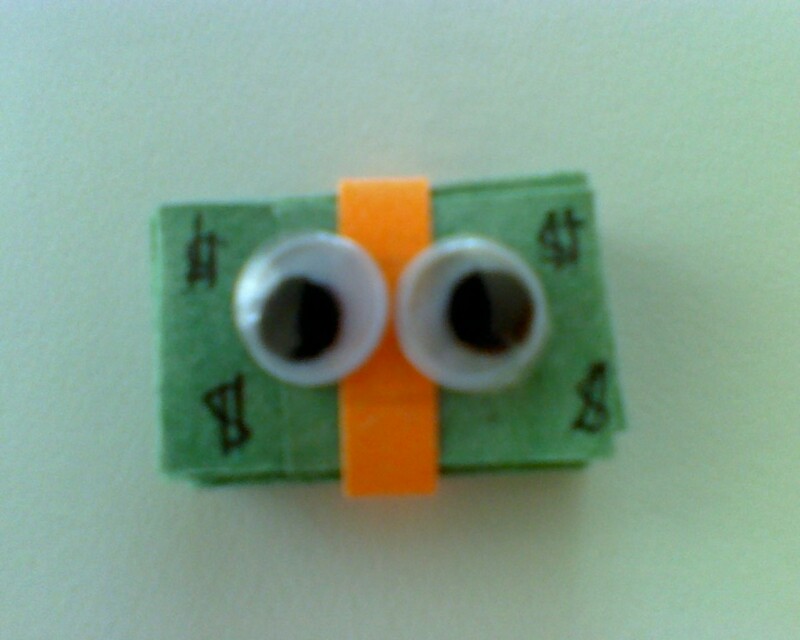 In the site, you have a thumbnail representation of all available pictures. At last check, you can choose from about 36 unique images. Little children need bright, clear pictures and the ones found on this site are suitable for younger children. 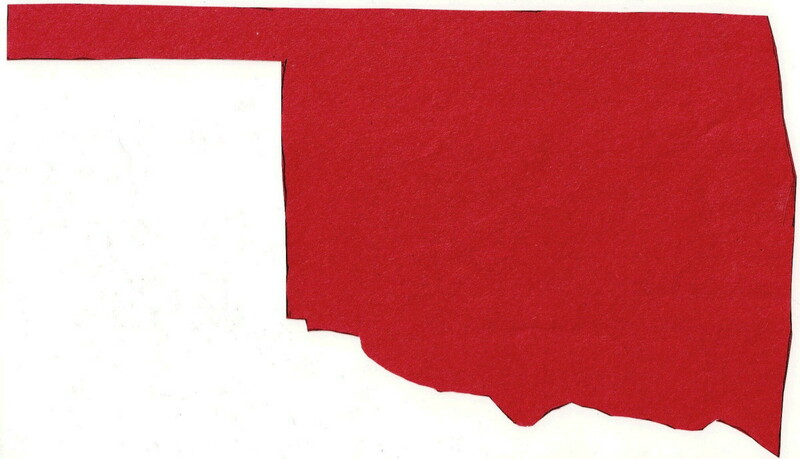 Every image is clearly defined, with sharp, bold lines that are simple to color inside. A selection that greatly appeals to littler kids. A few simple cartoon football drawings. 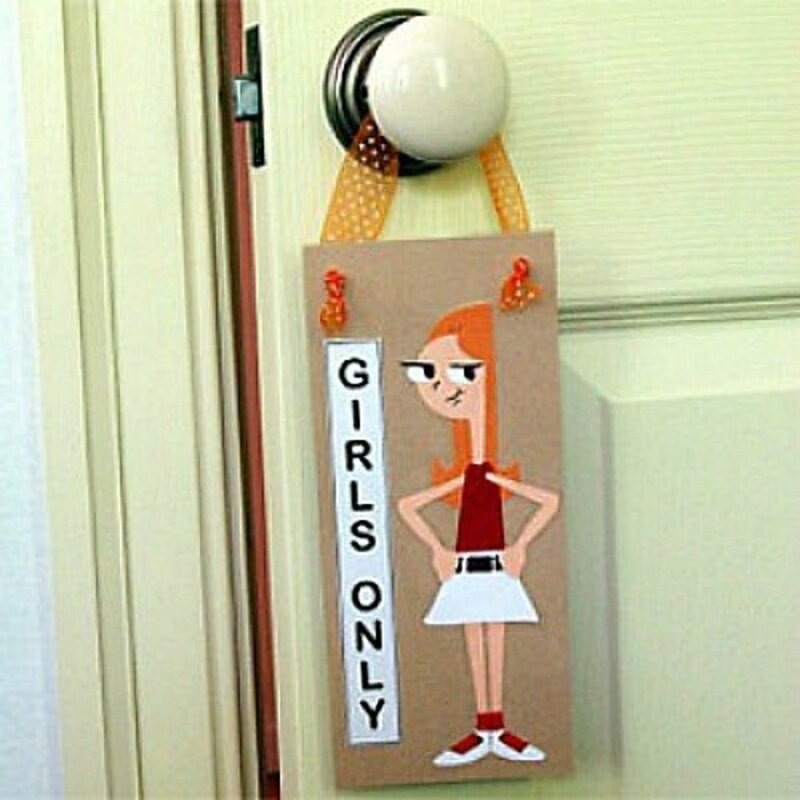 Here are a few simple pictures with cartoon animal pictures in place of football players. There is a kangaroo running and a cute dog posing with a football as well as a ball flying between the goalposts. Very suitable for young children. Football: Never Too Young To Start! The following drawings are less frequent than some others found in the picture collections above. In most cases, I am linking to the original artists page (as far as I can make out). The styles in this list are diverse, but we have tried only to choose good quality pictures, so you don't have to be looking all over the net for just the right drawing to use. You should check these coloring sheets if you are looking for a unique football picture to color in for yourself or child. A hilarious picture of Mario as a player. He looks both confused and is shaking in fear. A splendid picture of a player running with the ball. If colored well this drawing can come out well. 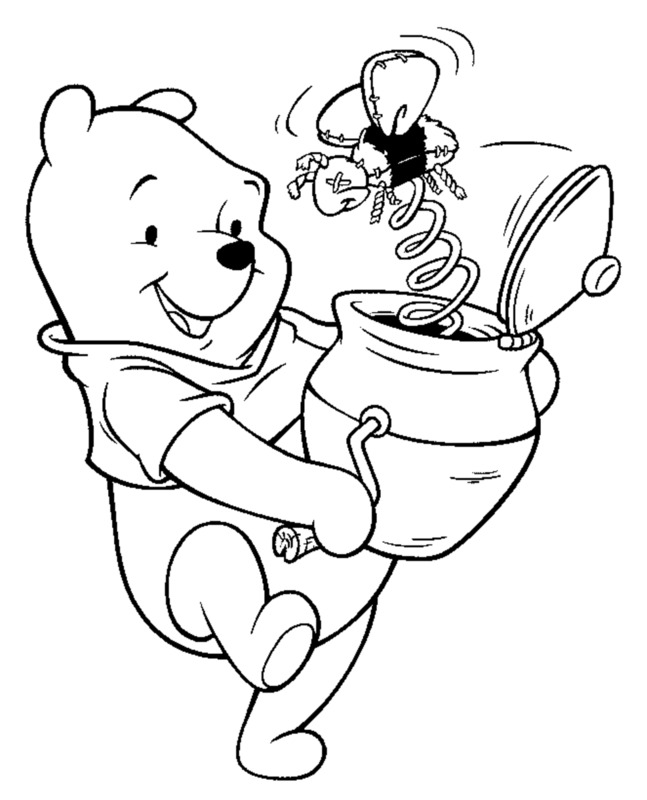 Football Coloring Page with Mr. Jelly Belly as The Player. Funny drawing of Mr. Jelly Belly catching the ball for a winning touchdown. 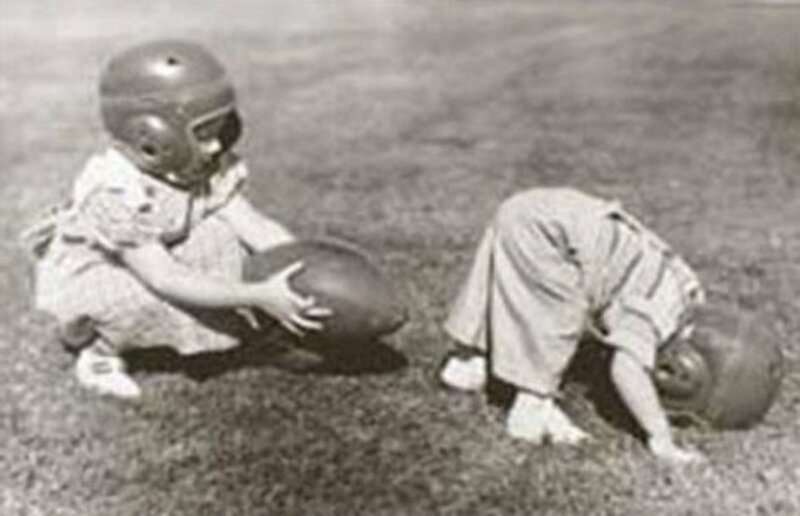 The American Football sport is the merging of various types of rugby and association football played in the USA in the mid 19th Century. It was played by many colleges and even in town, but every team seemed to want to play it with their rules. Another aspect of the game was that it tended to be a mob style game and could get quite violent, with many injuries and even some deaths. The real start of the game in its right happened when American's who played these games consolidated their rules for an all-American version. During the late 19th and early 20th centuries many of the foundation rules and organization of the game occurred. One of the most notables in this endeavor was Walter Camp often called "Father of American Football". Even though the game was would be recognised as very similar to the football played nowadays, the game became increasingly violent. The violence increased without any protection such as padding or helmets and there were many serious the injuries and even deaths. The injuries and deaths became so frequent that many tried to ban it. It was not until Teddy Roosevelt asked Walter Camp to work out a safer game. He came out with the body protection and rules we have today, basically creating a safer yet more exciting game almost just as we see it today. To learn more check out Wikipedia. College football is fun to watch for anyone, with the broad range of ability it has many exceptional moments (some crazy ones too). The pictures below can be colored by both young and old, will bring some happy moment to mind. An excellent way to show one's allegiance to your favorite team. We also have some pictures of some of the more famous football college teams for some of, the larger universities. ZThese was made especially for the New England Patriots Football team. The ever popular sports font, just enlarge to fit to whatever you want. Great for coloring, quilting and more. A symbol of America and sportsmanship, the football ball bring to mind many hours of play, training and skill to many a man's life. Whether played professionally or just for fun, the balls are a popular symbol of American football. Check these football balls flying in action, I like the one with a fire tail, it would be easy to make look dramatic. Originaly inflated pig bladders were used to make the American football ball. American football balls are a sphere with pointed ends but are now made of rubber or plastic. Read more on wikipedia.org. For the selection here, the football ball is the primary focus of the picture. You should find some pictures from the collections above, below are some not featured in those collections. An interesting well-drawn football ball. 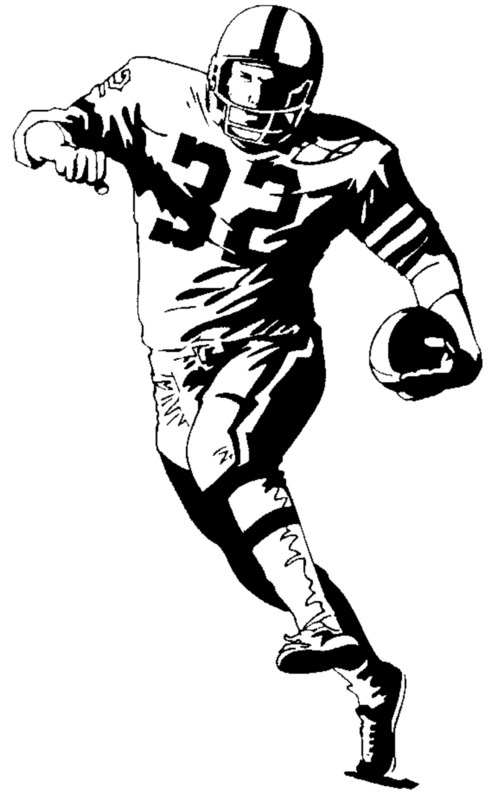 Lots of football ball coloring pages as well as other football coloring pages. A very comprehensive collection of football ball coloring pictures. Wilson Sporting Goods Company is one of the main manufacturers of American footballs, have been making quality footballs for over 40 years. Wilson balls are the official balls for both the NFL and UFL. This video describes how the American footballs are made in one of the Wilson Football factories. Each ball has four panels, stitched together to an oval like shape. 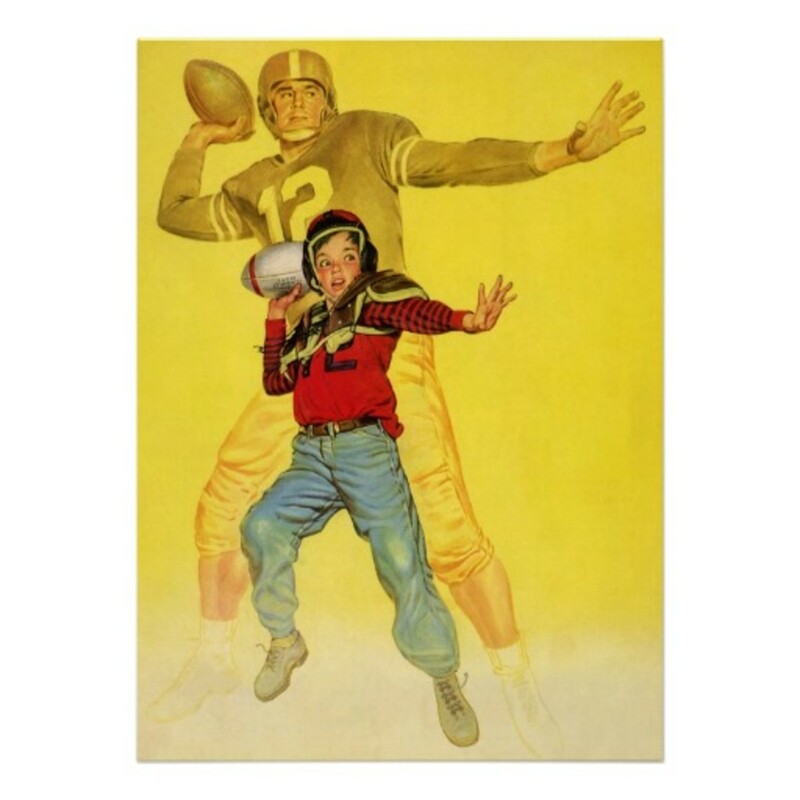 An essential part of American football gear, the football helmet protects the players head from potentially dangerous accidents from those famous football tackles. Football helmets have changed since the first leather helmets that here used near the beginning of the game. Now they are made from tough, lightweight materials. Though lighter than previous helmets, the modern football helmet protects the players head much more than earlier models. Read more on wikipedia.org. 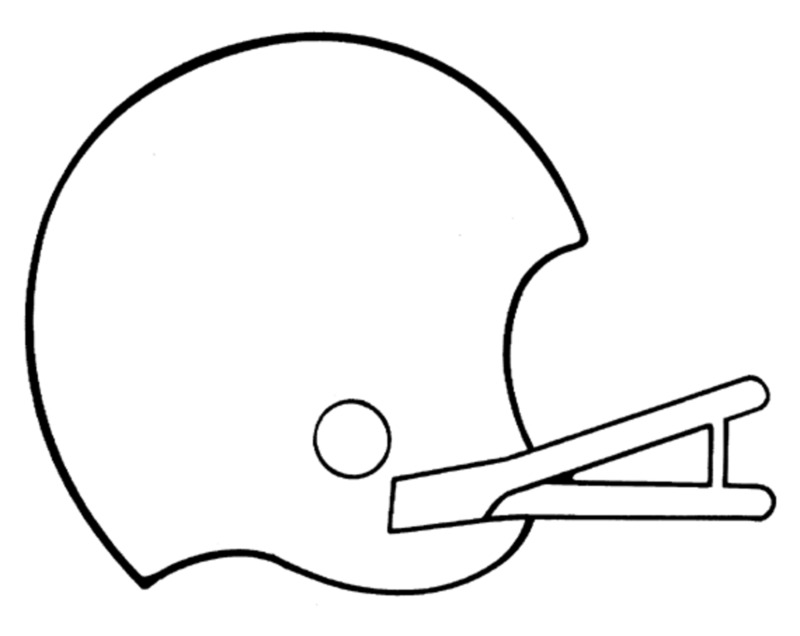 A good assortment of football helmet coloring pages. 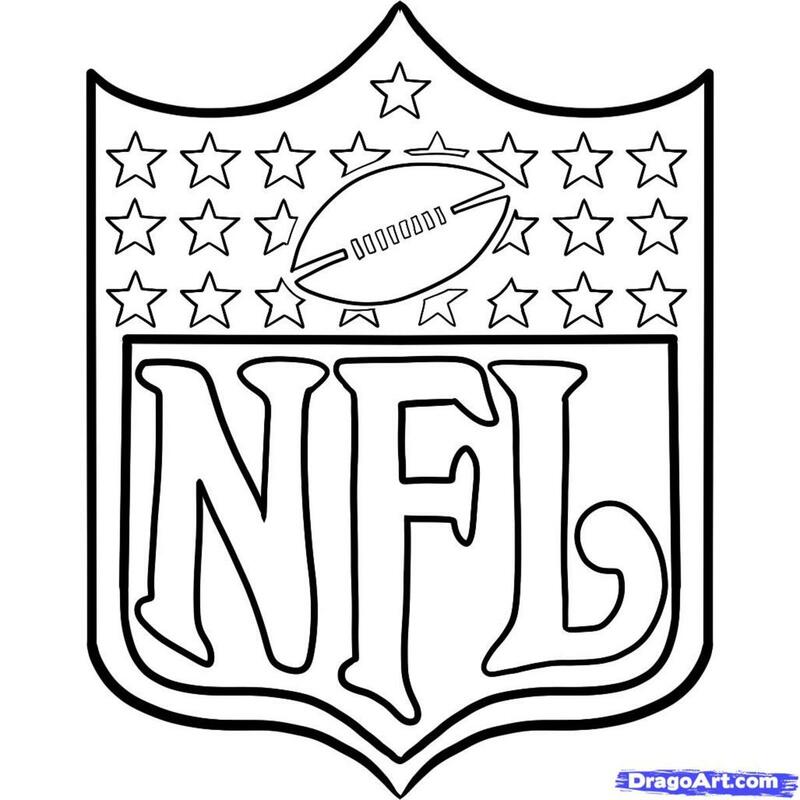 Contains a lot of NFL Team Football Helmet Coloring Pages. 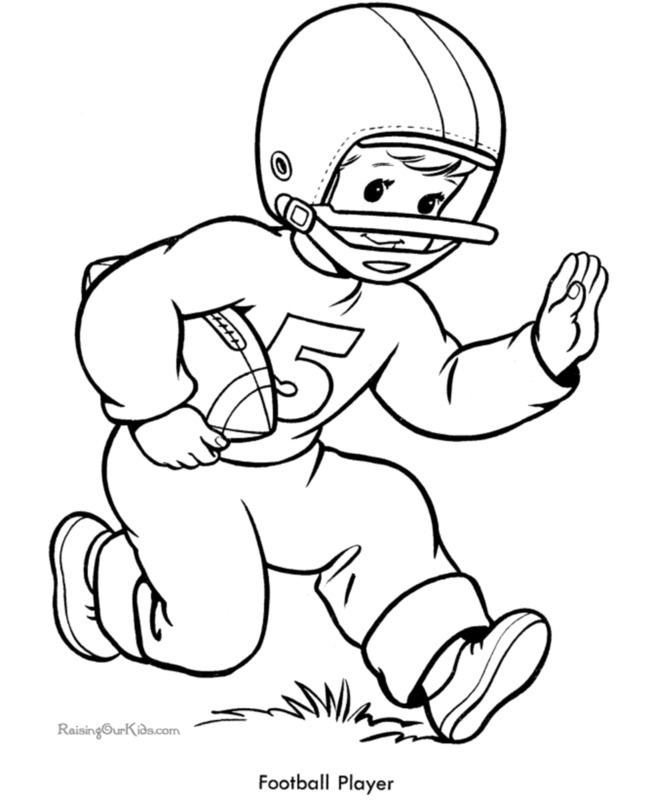 This football coloring page has a good number of football helmet pictures. Football helmets are so important, and must be made to resist huge impacts on the football field and protect players heads against injury. A comprehensive collection of NFL team logos and more; as well as more regular football coloring pages. 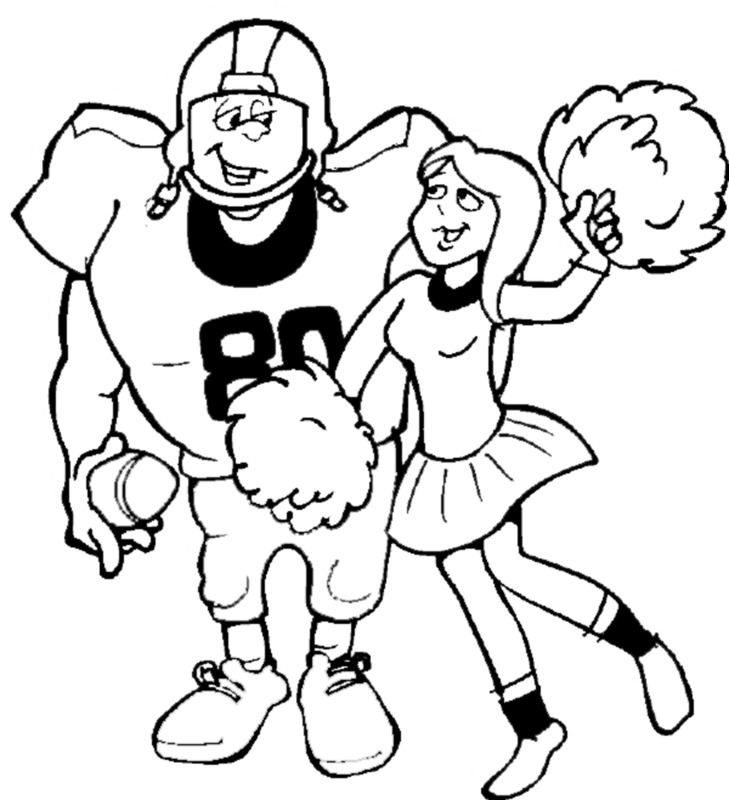 NFL Coloring pages provided by Tennessee Titans. 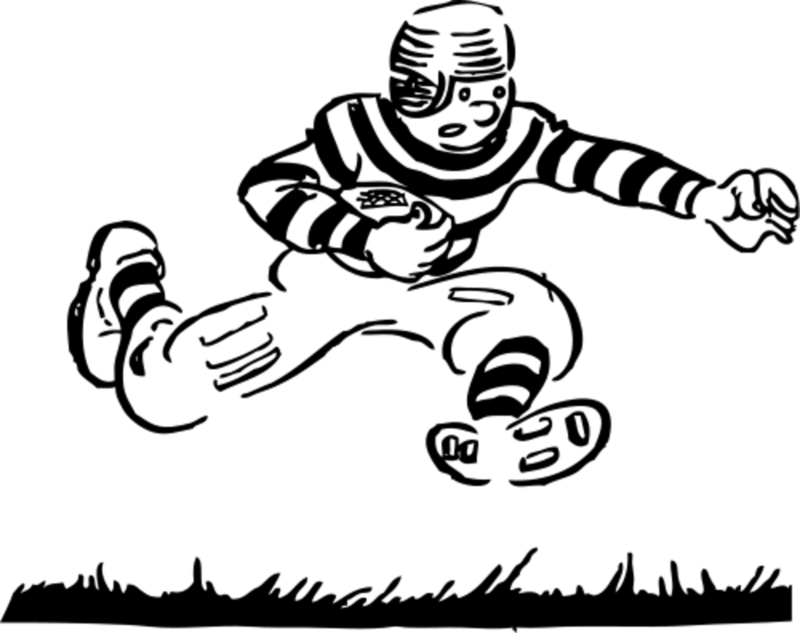 The first drawing of a cartoon football player is cute and pretty simple to draw. You can easily change it up once you get the hang of it. The second video is a more advanced tutorial, showing how to draw a football player running toward you. Found a third tutorial, that is also cool, even if there are no voice instructions. I think all the tutorials are well done for the level of detail in the final picture!